​​​​​​​​​​​​​​​​​​​​​​​​​Dr. Roger Funk has been studying microparticles from soils from all over the world for more than 25 years. His research into the dust phenomenon leads the agricultural engineer into a world that can only be observed under the microscope. Together with his team, he studies the effects of soil dust emissions on our environment. His latest project takes him up into the sky and helps to explore the influence of special soil dusts on cloud formation. Dust particles are so tiny that our eye can hardly distinguish the single particles. Although smaller in diameter than a hair, dust particles unveil a stunning diversity under the microscope. The dust phenomenon has fascinated Dr. Roger Funk from the Institute of Soil Landscape Research of the Leibniz Centre for Agricultural Landscape Research (ZALF) for more than 25 years. Because tiny as the particles may be, their importance for humans and the environment is tremendous: They transport nutrients around the world and are a prerequisite for clouds to form. 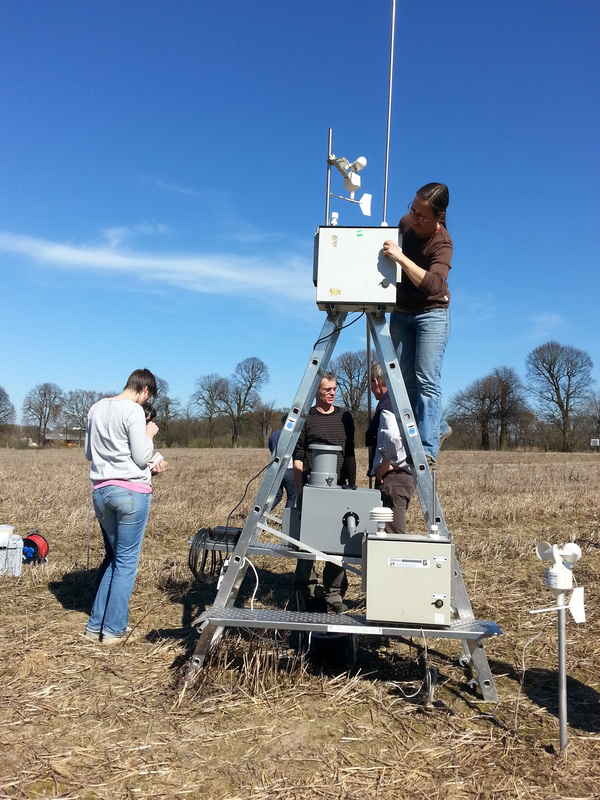 Dr. Funk is particula​rly interested in the causes and effects of dust emissions in agricultural landscapes. His most important tool: a dust monitor, which he sets up for research in various fields. The measuring device draws in air and guides it past a laser beam that determines the number and size of the dust particles in the air stream. »It sounds trivial, but it‘s not,« says Funk. »We record the origin and exact composition of the individual particles and thus create a specific ›fingerprint‹ for each dust sample.« The scientist has since built up a considerable soil dust archive from many parts of the world. 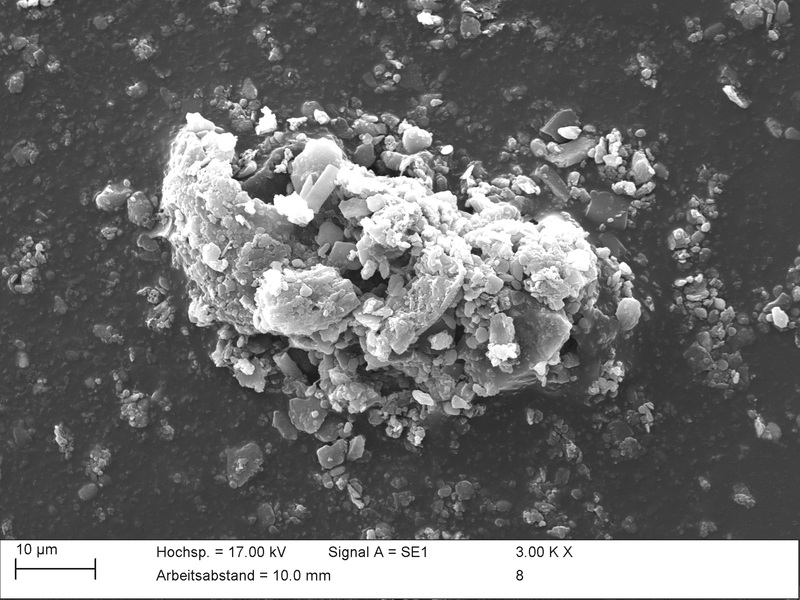 These different properties have a major impact on the susceptibility of individual particles to wind erosion. The finest components, such as clay and silt particles as well as organic substances, are swirled up most easily and fly away first. But it is these finest components first and foremost that contain the most valuable components of the soil, i.e. the nutrients. Sandy soils are affected most by this phenomenon. Even the smallest quantitative losses cause a disproportionately high loss of soil quality. 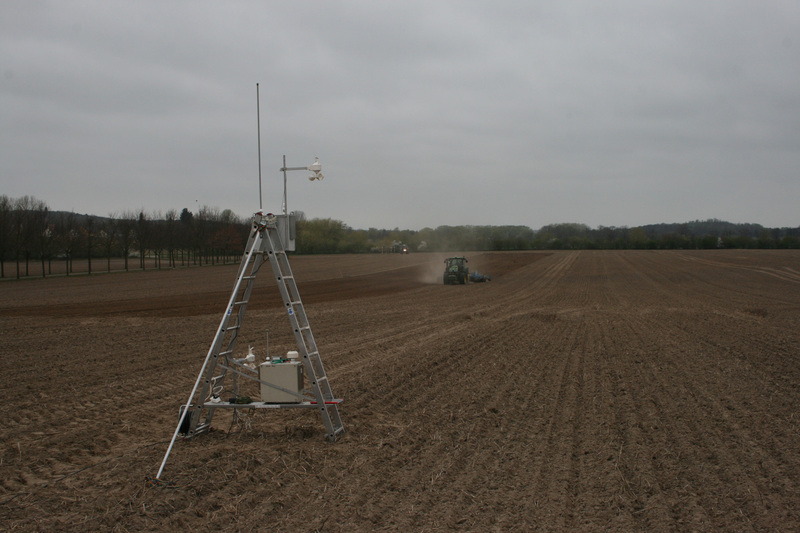 »For ten years, we have been studying the erosion processes in Brandenburg‘ s fields and found out that soil tillage in agriculture releases as much dust as storms within a given time period. This means a total loss of 212 kilograms of humus per hectare every year,« says Funk. This gradual decline in soil fertility has become one of the main problems of soil degradation in Europe. »Examining the effects of different tillage methods was particularly interesting. While ploughing in spring stirred up around 120 mg of particulate matter per square metre of arable land, weed control measures even whirled up as much as 186 mg/m². However, the most serious erosion levels are observed when ploughing on warm, dry summer days when tractors stir up 1,045 mg/m² of fine dust into the air and large clouds of dust are formed,« notes Funk. These dust turbulences are not only a problem for agriculture. In 2011, a sandstorm swept across the A19 motorway near Rostock, causing a devastating multiple car pile-up that cost the lives of eight people and injured more than 130. No less alarming are the effects on air quality. Due to fine dust whirled off arable land, the permissible PM10 limits are being exceeded more and more often. PM10 are dust particles with a diameter of less than 10 μm. 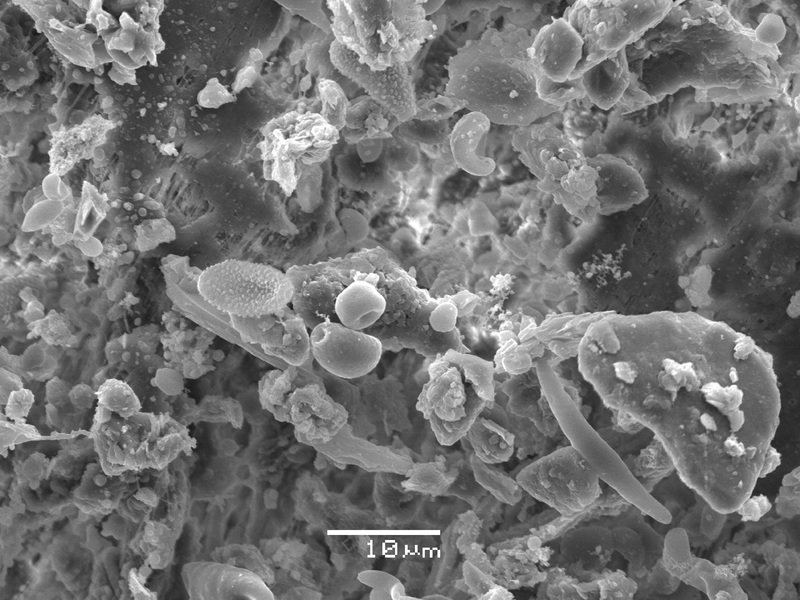 These ultrafine particles enter the bronchial tubes and alveoli, some of them even reach the lung tissue and the human bloodstream. They can cause chronic respiratory diseases. ZALF tests solutions to counteract dust emissions from agricultural processes. For example, smaller fields with wind protection hedges are less susceptible to wind, and the time of day for fieldwork also has a role to play: »In an experiment in our wind tunnel, we simulated a hot summer day on a field. In the early morning hours with a soil temperature of around 21°C, only a little dust was stirred up. At noon, when the temperature of the top soil layer of the field rises to 60°C, the amount of dust released increased tenfold,« says Funk. However, the consequences of dust emissions are not limited to the regional level, instead, they have a global impact on the climate and environment. »Storms carry the dust high into the air, where it sometimes travels thousands of kilometres to distant places and sometimes even around the globe,« Funk adds. Desert storms blow the dust particles from the Sahara in Africa across the Atlantic Ocean to Central and South America. Particles that land in the ocean carry iron and silicon into the water. The nutrients lead to increased algae formation rates – an additional food source for fish. But a strong growth of algae also clouds the water and thus endangers coral reefs in the Caribbean. But dust has an even more important role to play in the atmosphere because here it is a vital precondition for clouds to form. In order for rising water particles to form clouds, they must condense or freeze, but evaporated water has a freezing point of -70°C as it is completely sterile and clean. A small trick from nature ensures that the water molecules in the atmosphere freeze at much more moderate temperatures. So-called »ice nuclei« serve as jump starters. 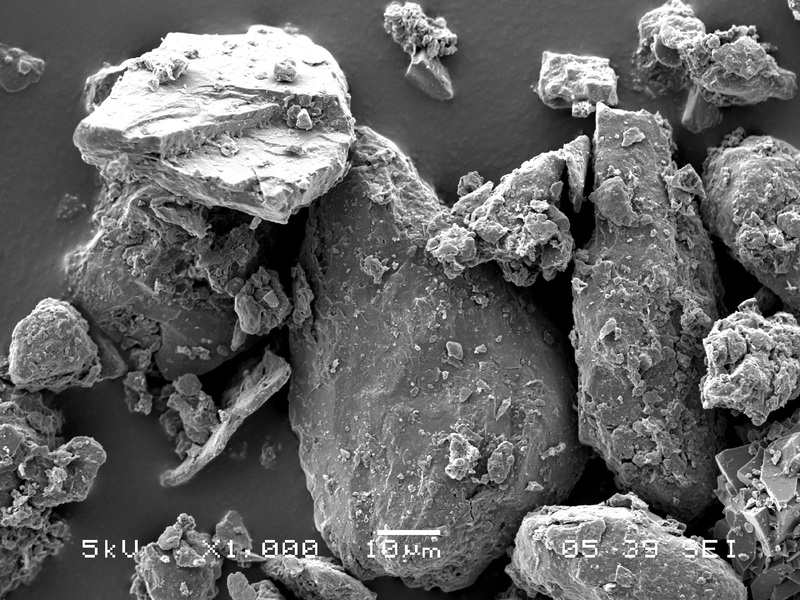 These are small dirt particles, such as pollen or soot particles, volcanic dust or sea salt particles on which ice crystals grow. 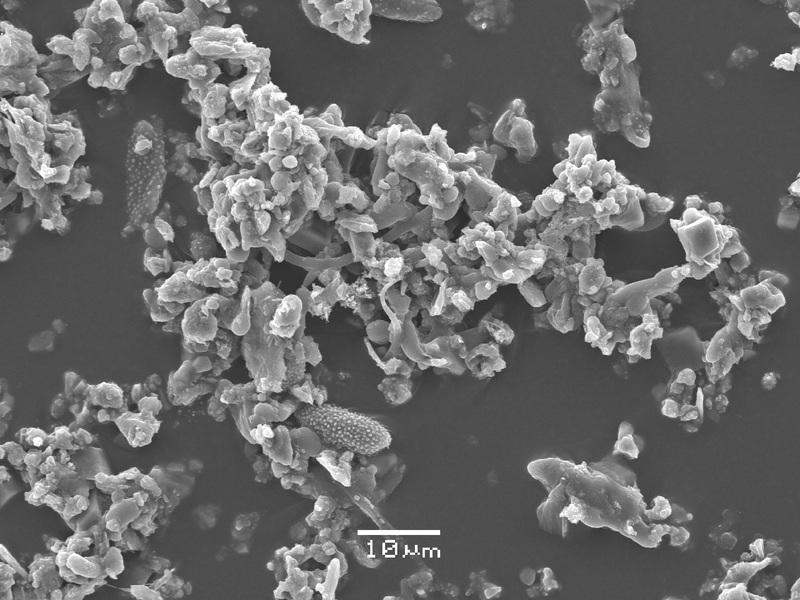 However, the largest known source of these »ice nuclei« is desert dust, of which about 1.5 billion tonnes are released into the atmosphere every year. »Soil dust from farmland is also suspected of having a major influence on cloud formation,« says Funk. This phenomenon has now for the first time been explored in more detail with colleagues from the Karlsruhe Institute of Technology (KIT). For this purpose, experiments were carried out at the KIT in a cloud chamber where the processes of cloud formation can be simulated. »These experiments focused on the ice nuclei forming properties of four different types of dust,« explains Funk. 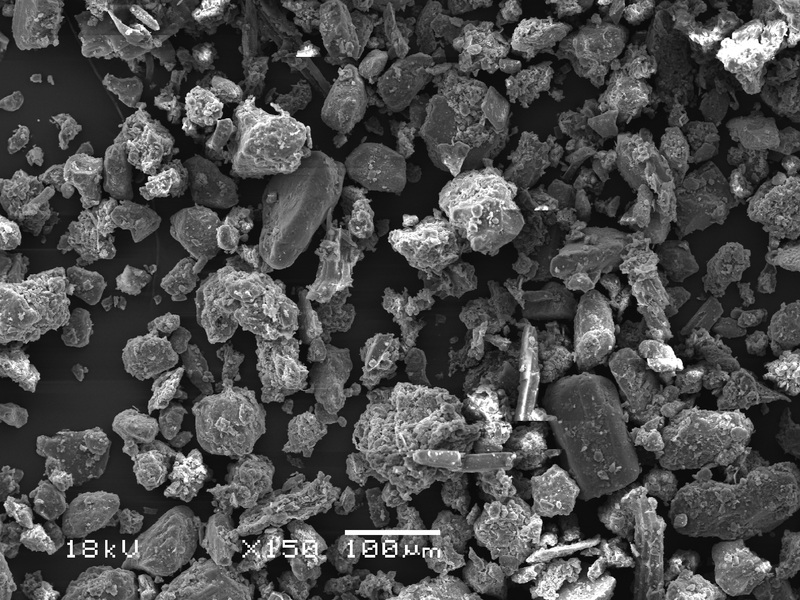 The soil samples from northern Germany, Mongolia and Argentina come from ZALF’s dust archive. The results of the experiment are astonishing: The cloud formation activity of agricultural dust is about ten times higher than that of desert dust. »These facts are impressive, although we do not yet know the underlying mechanisms,« Funk sums up. This will be the task of further joint research in order to better understand the diverse interactions between soil surface and atmosphere. »Dusts are still largely unknown, and relatively little research has been done so far. That‘s exactly what makes them so exciting for us,« says the dust hunter.